The following articles by Toni Brient were published in mastheads managed by Mornington Peninsula News Group. Mastheads include Westernport News, Southern Peninsula News, Mornington News, Frankston Times, and Chelsea-Mordialloc News. 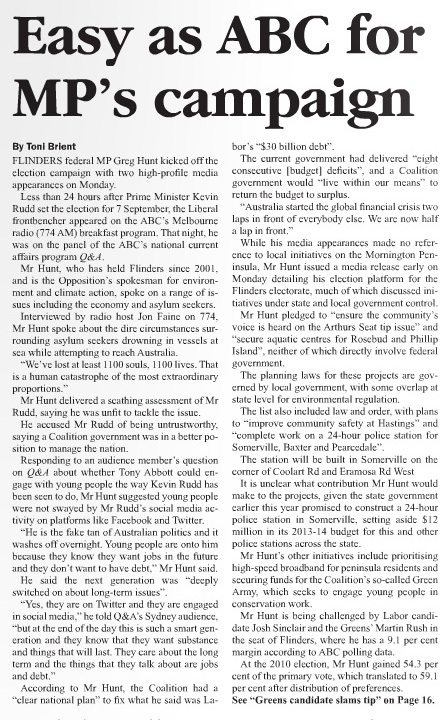 Published in Mornington News on 9 September, 2013. Published in Mornington News on 20 August, 2013. 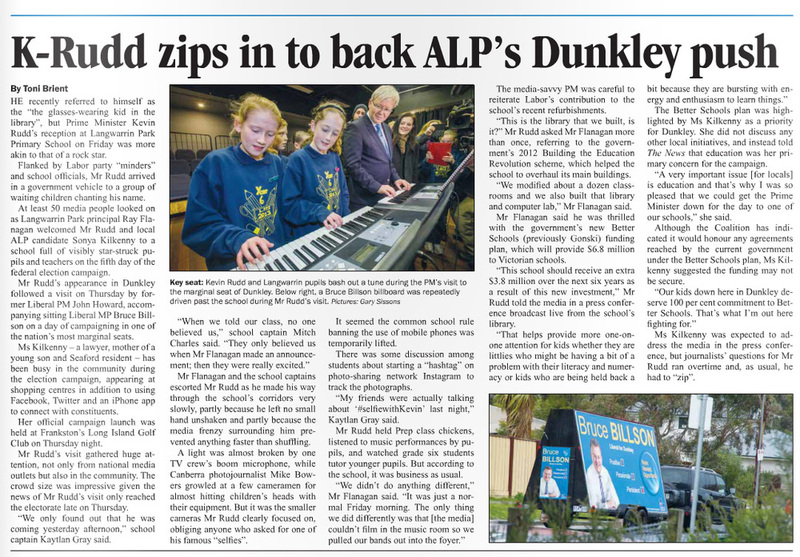 Published in Frankston Times on 15 August, 2013. Published in Mornington News and Westernport News on 12 August, 2013. 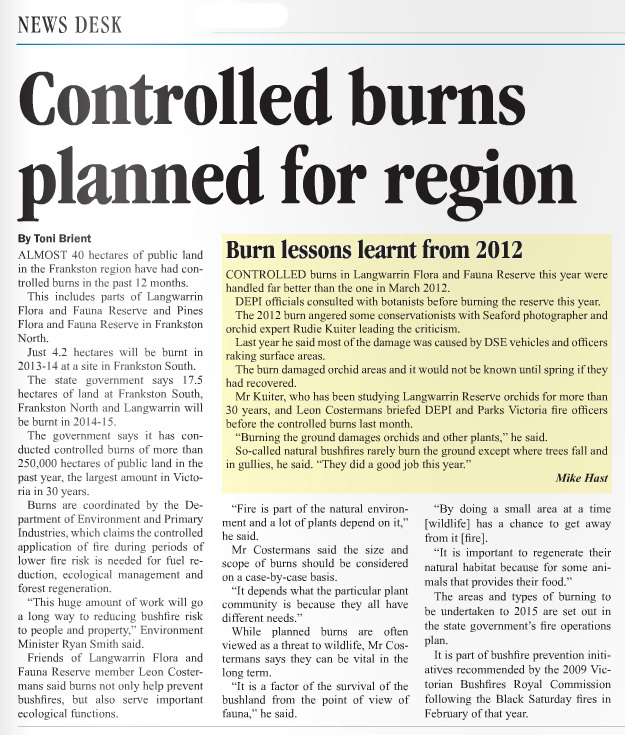 Published in Southern Peninsula News on 8 August, 2013. Published in Westernport News on 12 August. 2013. Published in Mornington News and Westernport News on 29 July, Frankston Times on 1 August, and Southern Peninsula News on 8 August, 2013. Published in Mornington News on 22 July, 2013. Published in Mornington News and Westernport News on July 1, 2013. Published in Frankston Times on 21 June, 2013. Published in Mornington News on 17 June, 2013. Frankston Times 23 May, 2013: page 4. Published in Westernport News on 20 May, 2013.